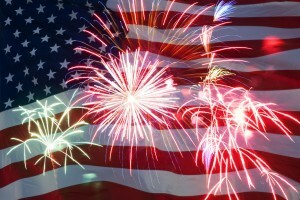 Janie Bress - My North Shore Blog: Enjoy the 4th of July along Chicago's North Shore! Enjoy the 4th of July along Chicago's North Shore! Summer is in full swing here in Chicago’s North Shore and many of the communities are getting ready to celebrate our nation’s freedom this coming 4th of July! For many living in the North Shore, it’s a highlight of the season as friends and family gather together and enjoy local festivities! I have enjoyed living and working as a real estate agent in the North Shore for over twenty years, and believe strongly that where your home is located is just as important as what it looks like. Finding a home in Chicago’s North Shore means not only finding a place to call home, but being surrounded by a great community in which you can be involved. Whether you’re just visiting Chicago’s North Shore for the holiday weekend, or are a current resident in Evanston, Kenilworth, Glencoe, Highland Park, Deerfield or any of the other surrounding areas; you’ll enjoy all the festivities that the North Shore has to offer this 4th of July! - On the beautiful grounds of the Glenview Park Golf Club, the twilight fireworks show begins with a patriotic concert by the 100-piece North Shore Concert Band. The show is highlighted by fireworks synchronized to patriotic music. Times: Parade at 11 a.m., fireworks at 7:30 p.m.
- Featuring carnival games, inflatables, train and pony rides, petting zoo, food and live entertainment. - From fireworks on July 3 at 9:15pm at Brickyards Park, to a 10k race, bike parade, pancake breakfast and much more; you'll enjoy this fun-filled weekend in Deerfield! Check out the website below for more information. Times: Festivities begin at 8am, Fireworks begin at 9:15pm. From pancakes in the park, live music and family games, to a Police vs. Fire Department baseball game, a bike parade and fireworks; this all day celebration is one you won’t want to miss! I hope you’re able to take advantage of one of these great events throughout the North Shore! You’ll enjoy being with family and friends, and getting to know your neighbors and community better! As always, if you have any questions about living in the North Shore, or would like to look at some of the current homes available on the North Shore Real Estate market, please don’t hesitate to contact me! I would be happy to show you around and help you through each step of the home buying process. I look forward to hearing from you and hope you have a safe and happy 4th of July!